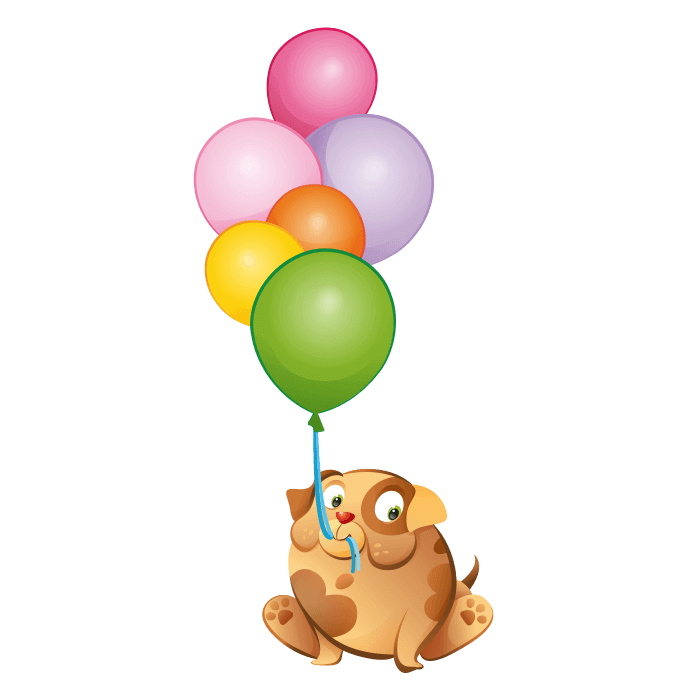 All at the Park Wall Decors for Children, Dog with Balloons Sticker to create a funny Playground Stile Setting your Kids Room. Beccoblu® Wall Stickers are specifically designed for Your Kids: fun and colorful, with fresh and joyful colors, make the bedroom a lively atmosphere and full of joy, perfect for playtime and relax. Dozens of collections and hundreds of subjects to choose from: let yourself be guided by imagination and creativity! Professional wall stickers in PVC for interior decoration. Printed at the maximum possible definition with bright and lively colors on matte finish PVC, carefully shaped without either white or transparent borders they really look like a mural painting. Safe strong and ready to use: you don't need to use scissors and glue, you don't need to be experienced, and applying them it's easy and makes fun. 100% Italian design and production, highest quality materials. Original illustrations exclusively designed, colored and realized by a team of expert Italian designers: illustration by Lara Poltronieri, Sara Mariani. You can choose the positioning of the sticker: select from the positioning menu the ⇄ symbol to get the mirror version of the subject. 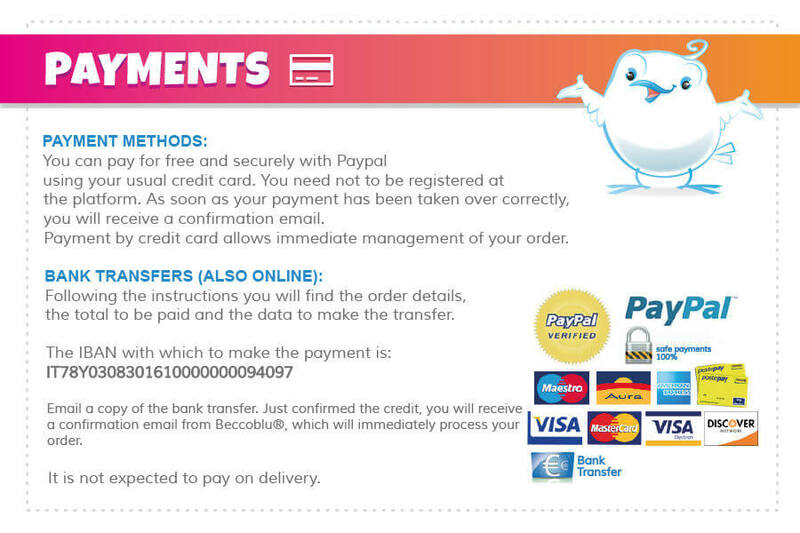 For all stickers composed of several items the dimensions are referred to the whole composition as shown by the picture; each element is detachable. 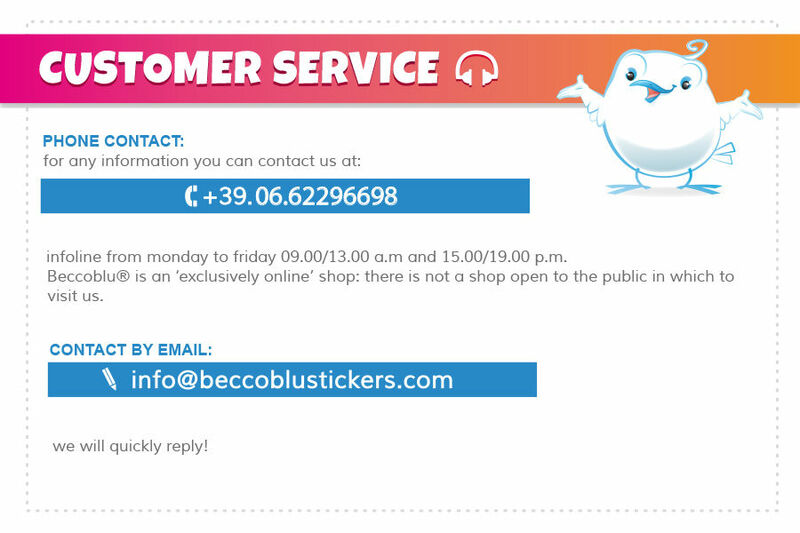 Before being shipped Beccoblu® stickers are carefully checked and they are packed in safe and resistant boxes. Instructions and little smoothing blade included in the package.